We are used to thinking of human rights as a matter for state governments to deal with. Much less investigated is the question of what cities do with them, even though urban communities and municipalities have been discussing human rights for quite some time. 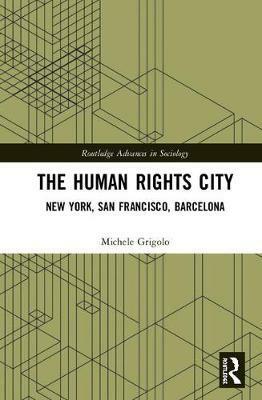 In this volume, Grigolo borrows the concept of `the human rights city' to invite us to think about a new urban utopia: a place where human rights strive to guide urban life. By turning the question of the meaning and use of human rights in cities into the object of critical investigation, this book tracks the genesis, institutionalisation and implementation of human rights in cities, focussing on New York, San Francisco and Barcelona. Touching also upon matters such as women's rights, LGBT rights and migrant rights, The Human Rights City emphasises how human rights can serve urban justice but also a neoliberal practice of the city. This book is a useful resource for scholars and students interested in fields such as Sociology of Human Rights, Sociology of Law, International Law, Urban Sociology, Political Sociology and Social Policies. Michele Grigolo is a lecturer in Sociology at Nottingham Trent University, UK.